The sensor web is the logical conclusion of Augmented Life. An augmented reality blending of virtual and physical worlds into a single reality, made possible by a web of ever-present, internetworked sensors, and embedded technologies. The first suspicions of this web now exist, with RFID, and wireless communications. A web of sensors, of GPS, RFID, everything, all interlinked, all tracking and bearing down, this is the future we can look forward to, as augmented reality comes closer to being. It was only a matter of time before someone took the concept of a sensor web literally, and created a smart mesh web that could cover an object and detect when and where any breaches in the web occur. That wait is now over, and the first such smart fabric now exists. Tokyo. Quite possibly, the birth place of the true sensor web. Birthing, right now. All 3D scanners have had one thing in common: You place the object inside the scanner, which performs a scan either around the object or through the object. However, if the item is too big to be encapsulated in this fashion, and you still have to scan it, you need an entirely different type of scanner. A detailed look atthe duality of appearance likely in the near future, where we may appear one way in the physical world, and have a whole range of digital appearances in the augmented reality and virtual environment worlds. New Augmented Reality Position Tech: Beginning to blend? Industry news, originally posted 03/02/2005, deemed too important to allow to fade. A new real-time rendering system, blending physical and virtual realities together in real-time, is for the first time able to analyse physical reality, and place virtual objects to seamlessly interact, in real-time. AMPERE is one of the many dedicated networks necessary to protect and grow a fledgeling sensor web. Looking down from space, 66 satellites monitor the Earth's electromagnetic field - and watch for spikes. Industry news, originally posted 11-08-2004, deemed too important to allow to fade. RFID tags, all the rage it seems these days. However, they could be more than they seem to be. They could in fact be the key to the sensor network necessary for augmented reality to truly come to be. RFID: Beginnings of the sensor web? RFID ? Radio Frequency Identification. These small tags are starting to drift everywhere. Powered by the radio field the reader sends out when it scans for a tag, these tiny, primitive devices may actually be heralds of the sensor web. This year, the focus is on pervading social tagging, and upsurge in GPS devices and wearable computing. In addition, of course, the devices on offer are in almost all cases, a decisive improvement on the status of various technologies on offer this time last year. The Sensor web, is a long-anticipated faced of an augmented world. It is, in theory at least, a huge web of interconnected sensors, actuators, RFID, GPS, specialised routing controls, and augmented sensory hardware, all wired together into an immense web in physical space, facilitating Augmented Reality applications. To increase transmission speed (decreasing transmission delay) beyond that of low earth orbit, a different paradigm is required. A type of satellite which can survive in high atmosphere. One of the cornerstones of a sensor web is the ability to stay connected to the internet on the move, wherever you are, without even realising as your signal is tracked constantly. Whilst we are still a long way from this, we are making strides. An article from the BBC on the coming convergence of smart grid computing and augmented reality for motoring - cars that know what is ahead and react to changing conditions. The VTT Technical Research Centre of Finland has created what is essentially, a scalable, modular road ice sensor network, designed to work with all types of heavy goods vehicle, and to communicate with any other technology also in place on the vehicle's data bus - drawing GPS data from other devices and interfacing with satelite navigation systems and in-cabin displays to warn the driver of approaching ice. Commercial aircraft are a problem when it comes to linking them to the wider sensor net - all external electronic communication flows through a single part of the nose of the plane. This must be precision manufactured to be defect-free, or moisture and heat can tear the signal apart. How then, do you guarantee it is defect-free? A larger version of the system overview map from the VTT Technical Research Centre of Finland, demonstrating how their latest HGV-based modular real-time ice detection sensor web really functions. A Local area Augmentation System is used to augment Global Positioning Systems when fine, precise detail is required. They could actually solve a lot more sensor web issues than just the use in aeronautics they have today. 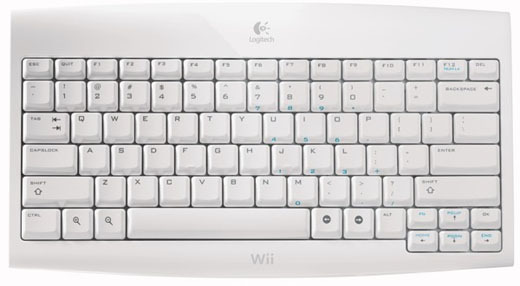 Produced by Logitech, and endorsed by Nintendo, the Wii wireless keyboard is embossed with the Wii logo. It is about 2/3rds the width of a standard PC keyboard, yet contains the full alphabet, numbers and function keys. Some of the number and letter keys have even been coloured the same shade of blue worn on Wii's box and logos. In the wake of an increasing number of scare stories about the use of Wi-Fi, claiming they alter the brain, and should be banned from schools and public areas, this article from the BBC looks at the actual science - which shows them as safe - a thousand computer wi-fi network puts out less than a single mobile phone. We are rapidly approaching the existence of an ever-present, ever-connected sensor web on some parts of the planet. Other parts, especially in the developing world, are not nearly so lucky. What can be done or is being done, to bring the interconnecting information web to these places? What is IPTV? How does it benefit people? Bidding farewell to the days of mass entertainment being passive, as opposed to interactive, this FAQ attempts to explain to the layperson, a few home truths about the technology. At the start of April 2009, a US firm, Oticon, started shipping a rather interesting concept, essentially hearing aids that plug into the local wireless network as you walk around. Whilst this company may be the first, it's a definite interest area for others. In the poorest countries, in the remotest locations, a physical web connection is pretty much an impossibility. Even the richest nations would pause and consider before laying cable through hundreds of miles of untamed wilderness, and poor nations simply do not have the resources for radio mast relays. Never the less, it is possible to bring the internet, or something fairly similar, to the most remote nomadic village in outer Mongolia. Google's project Loon breathes new life into the old concept of a stratellite based internet backbone - relatively cheap blimps in the stratosphere, serving almost the same function as expensive, rocket-launched orbital satellites. The key difference being the transmissions are twice as fast as with satellites, as stratellites are only half the distance above the earth. The human element is the main stopping point for augmented reality technologies. Humans are not really that civilised in general. Civilisation is imposed on most, by society. Taken out of society's constraints, or drunk, or high, or simply angry, the average street passer-by becomes in essence, a wild animal. They are going to break things, whatever they can grasp. The One Laptop Per Child project is aiming to give every child on the planet, access to at least basic computing resources, to educate and improve the quality of life, even in the most remote, underdeveloped areas. The raw speed communication is possible at on the internet is a linchpin of VR for social use. As the immersion level deepens, and more and more bodily senses are incorporated into the simulation, the demand for high speed data transfer escalates. This report looks at some of the recent attempts to squeeze faster and faster data transference from the internet infrastructure. Industry news, originally posted 23-10-2012, deemed too important to allow to fade. At the breakpoint 2012 cybersecurity conference on the 18th of October, Barnaby Jack,�a Research Architect with the TRACE research team at McAfee, demonstrated a critical weakness in pacemakers. Specifically, he was able to reverse-engineer the specs of the transmitter contained in every modern pacemaker � used to update firmware without requiring additional open heart surgeries � with lethal consequences. Several of the larger technology companies, including Google, are joining together for the Clearwire project; an effort to develop a nation-wide Wi-MAX network intended to render cable or phone line Internet obsolete and set the stage for free Google net access supported by advertising alone. In a world with a ubiquitous web of interconnected sensors, it can become much easier to keep an eye on the physical locations of other people. After the events at Virginia Tech University in the US, in April, a major push at using wearable technologies and sensor webs to improve student safety has been underway. China is building a high-tech police state under a massive surveillance and censorship program: "Golden Shield," linking surveillance cameras, the Internet, phones, facial-recognition software, voice recognition data from phone calls, GPS monitoring, and facial photos into a centralized database for every person in China - 1.3 billion faces. Facial recognition software, normally developed to recognise the faces of human individuals, to interact with and electronically monitor the activities of individuals, has been reapplied to study other animals, keeping the same basic technology in-place. A prototype Israeli system designed to intelligently adjust toll rates and lane use according to actual, minute by minute, changing road conditions. Facial recognition systems applied to canine faces. A still from a very silly film, is not so silly after all. With other, similar projects already in the works, there is no reason in the world why face recognition cannot be applied to any animal with a face. A BBC article discussing the increasing trend of black boxes, which work similarly to aircraft black boxes in cars, to drive insurance costs down. These record every action the driver takes, for later automated analysis by the insurer. Insurance prices go up or down depending on how safe the driver's driving actually is. It has been revealed that a biometric pattern recognition system in use at Japan's airports has been bypassed for an unknown amount of time, effectively rendering it worthless, and raising questions about the reliance on technology as a 'watertight' security measure. Ubiquitous sensors, processors, and data storage devices all interconnected and aware of the environment around them. These are life-changing enough on their own, but when combined with otherwise inanimate objects, they give the objects the ability for intelligent behaviour, by 'talking' for themselves. A Sensor Web Built from Every Screw? Imagine a world where every bolt that holds together the frame of the building you are in, holds together the car you drive, the planes in the air, and heavy machinery all around, is also a sensor. A vibration sensor, torque sensor, continually reporting on the stresses and strains on the structure in real-time. This is what German engineers have been working on for a number of years, and such screws and bolts are what they have now succeeded in making. A painting displayed on the wall has to put up with a lot of hazardous conditions. Dazzling light, unfavourable temperatures or too much moisture in the air are but a few of the hazards that take their toll on the artwork. A new sensor web is under development, that will experience the conditions each artwork is experiencing, and report back. From mid 2006, UK councils up and down the country, have been embarking on a new project - creating a sensor web out of dustbins. A new sensor, is able to differentiate true darkness from fog or smoke, for vehicle navigation. Even better, the developers have listened, and efforts to make it cheaply for all cars are well under way. In virtual spaces, a particle swarm is a large number of independent, intelligently-behaving particles, each of which possesses certain properties, such as if one moves, the ones near it are pulled in a certain way, or twisted or turned around, etcetera. However they've always been limited solely to virtual spaces with no physical equivalent. That is the case no-longer. Smart meters are all the rage in North America, where they are hooked to the building's power supply, next to the fuse box, ans they keep a live check on how much power the house is consuming, with statistical reporting available for energy consumption over time. A BBC article looking at the growth of the Internet of Things, and attempting to illustrate some of the privacy concerns when items of everyday clothing and personal possessions are able to communicate with other objects around them � and in so doing, give away your exact position and movements, in real-time. This podcast comes from TED 2009, where electronics inventor John La Grou shows off the capabilities of a sensor web of smart power outlets in every home, where the outlet knows what is plugged into it, and how much power the device is consuming, and when it consumes it. 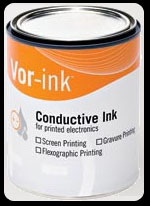 The first low-cost commercial spray on / paint on functional circuitboards have arrived, in the form of start-up Vorbeck Materials. Overcoming the cost limitations on paint-on silver, their high conductivity, cheap to produce paint is based on graphene. German researchers have made advances in the sensor systems that detect if a window is open or closed, by using of all things, a heavily modified washing machine tumble sensor. It detects movement ofthe window flawlessly, by the exact same means. Thermoelectric generators convert ambient heat into electrical power, providing a means to run sensor systems without relying on batteries, anywhere where there is a heat differential present. Unfortunately, until now it has never been possible to 3D print them, meaning their inclusion increased the cost of sensor systems, dictated design aspects, and prevented them from being manufactured in a single print run. None of these factors are entirely applicable any longer. Sweeping an empty patch of ground to ensure it remains empty, seems an odd job for a complex sensor web. Yet, if a passenger jet strikes debris during landing or take off, it spells disaster for all aboard. Researchers at the University of California demonstrate how to turn thousands of private iPhones into a single real-time sensor web, with the help of a plug-in sensor, and an app that provides enough real immediate benefit to the iPhone users thatthey'll run it much of the time. In this case, air quality sensors, complementing (and exceeding) the capabilities of the traditional air quality weather stations. One of the critical foundations of the sensor web, is creating the capacity for different devices, made by different companies and on different networks, to work together as a seamless whole. Traditionally of course that has not been possible, but new software, developed by researchers at Imperial College London, and intended to help other academics, is starting to do just that. 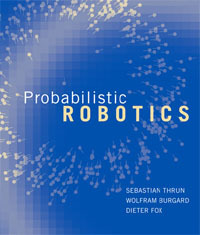 This book is basically a mixture of electronics guide and augmented reality bible. Not so much about the visual aspects, but about the ubiquitous computing platform, intelligent objects and sensor web. How do you set up a sensor web in a forest? Solar power is useless thanks to the canopy. Wildlife will get tangled up in the cables, as will people trying to manage the forest. Units need to be monitored for damage requiring dedicated staff on-site. If only we could fix all these problems, we could use sensor webs in remote areas... What's that? They're all fixed, you say? In concept it is quite brilliant � using a small, cheap, practically 3D printable unmanned aerial vehicle (UAV) to greatly accelerate the development of aerial sensors, by allowing them to quickly and easily be fitted to the UAV, and launched into the air without a moment's hesitation. Something needs tweaking, the small plane is landed, the sensor detached, tweaked, reattached and the whole thing lifts again. We are finally coming to the end of days in which spectrum frequencies are parcelled out to allocated bandwidths for different services. This has been impractical for some time now, as older services have had larger frequency ranges, leaving newer services squeezed together into increasingly smaller spaces.